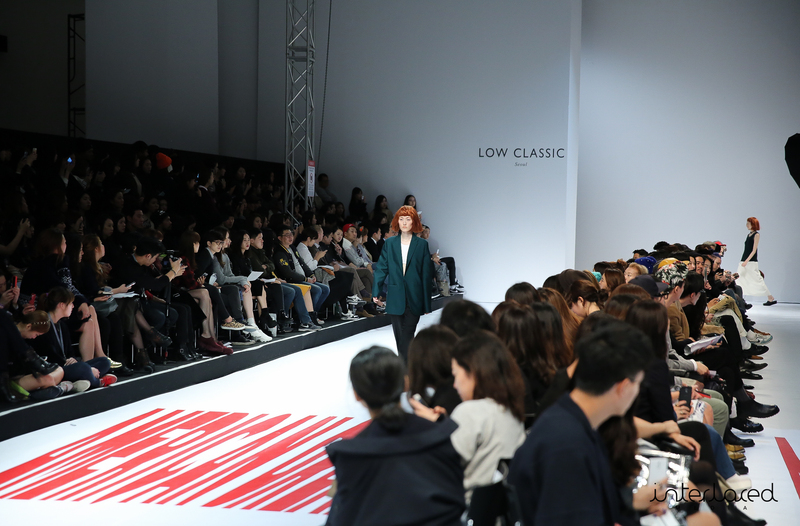 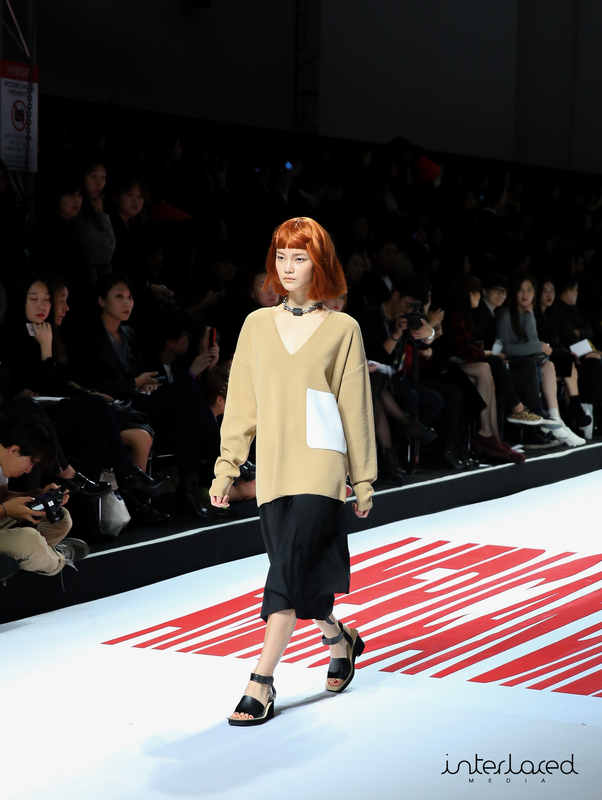 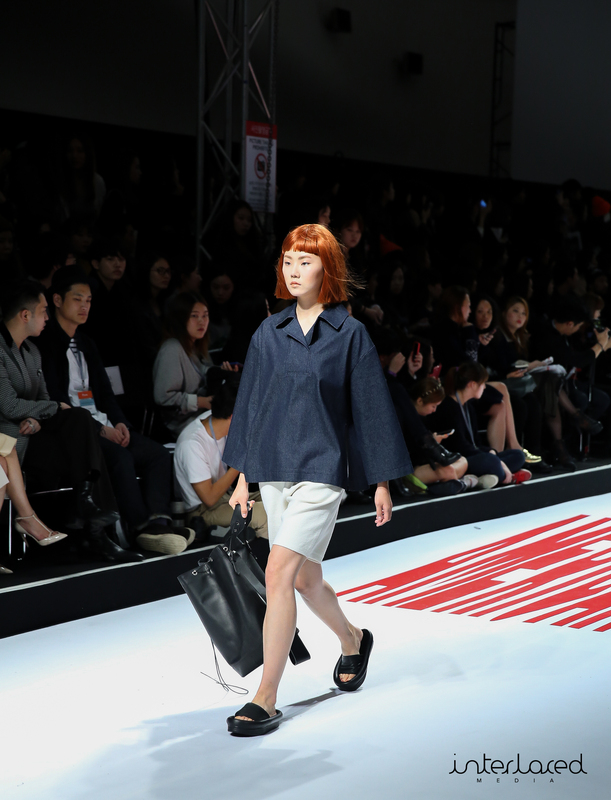 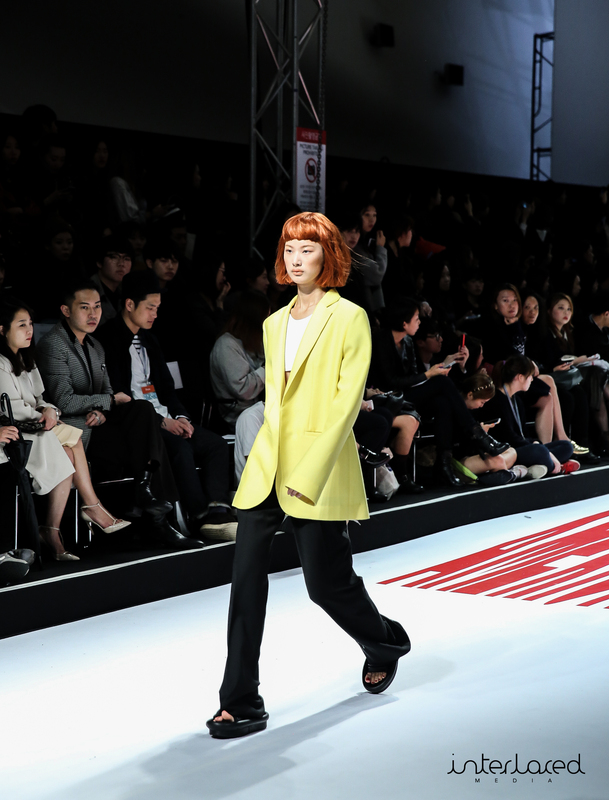 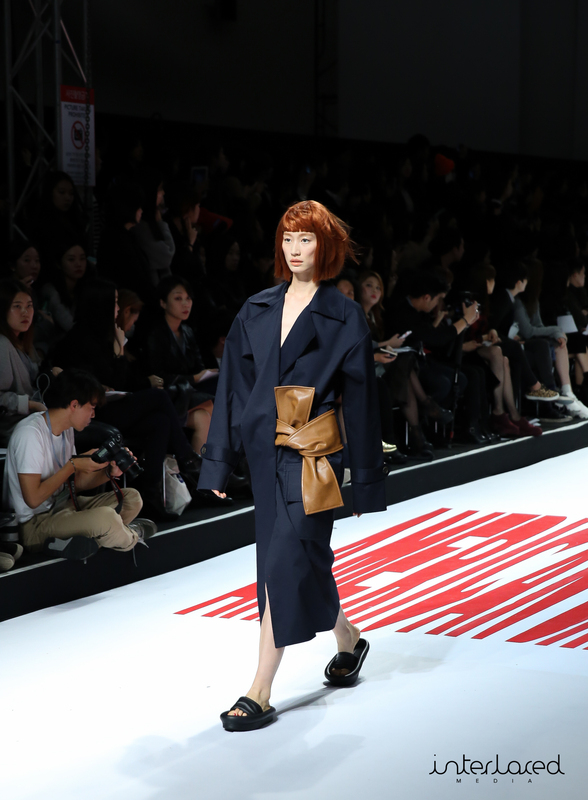 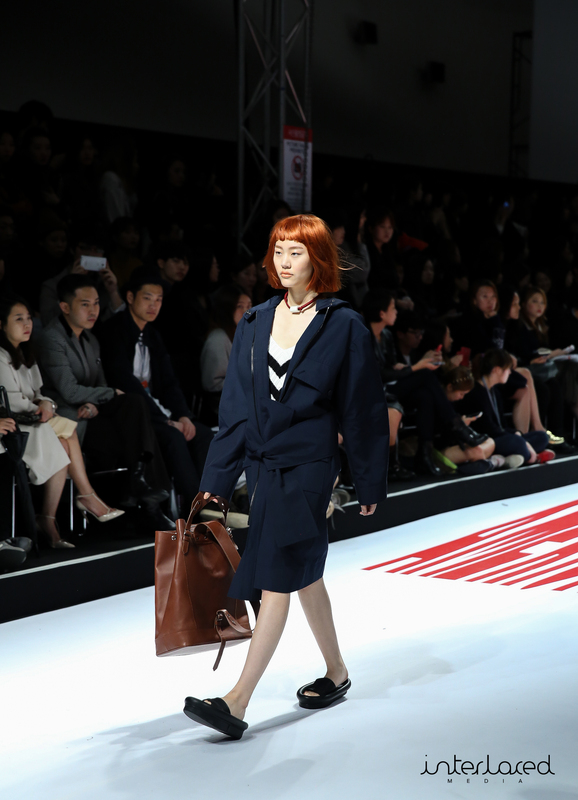 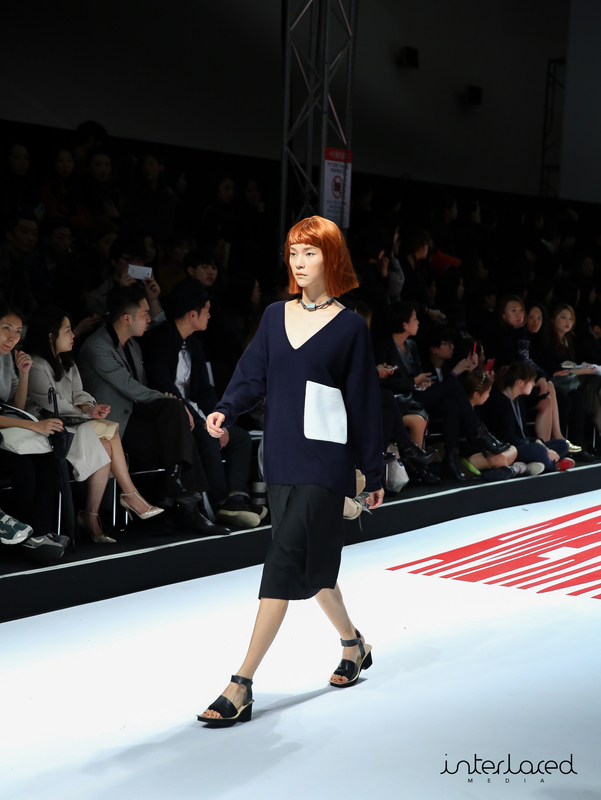 Turning heads with fiery copper wigs and bold blue collar work inspired cuts was fashion label Low Classic at Seoul Fashion Week Spring Summer 2015. 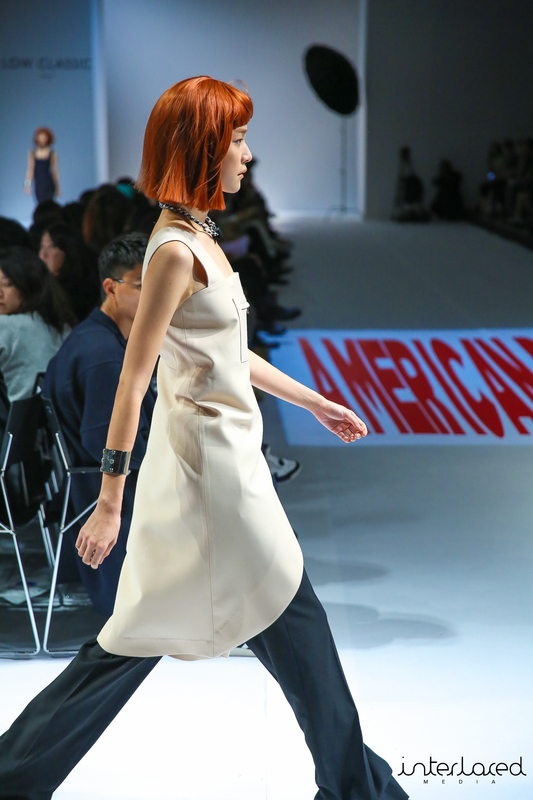 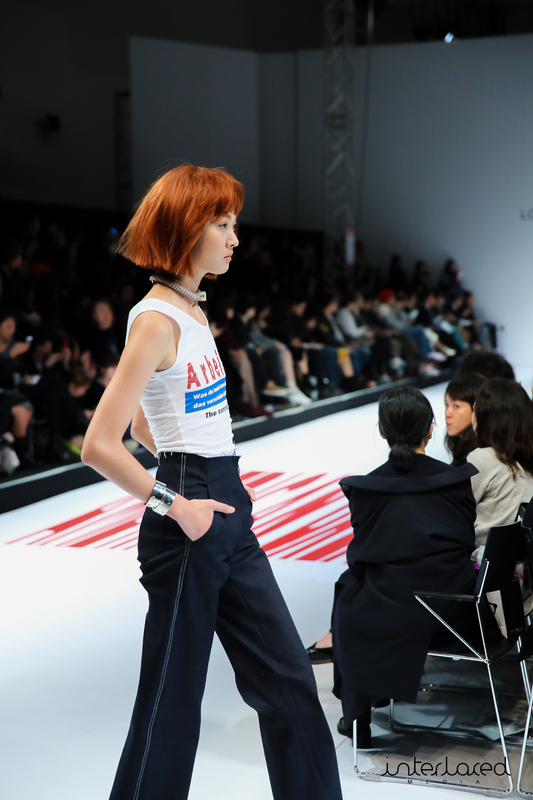 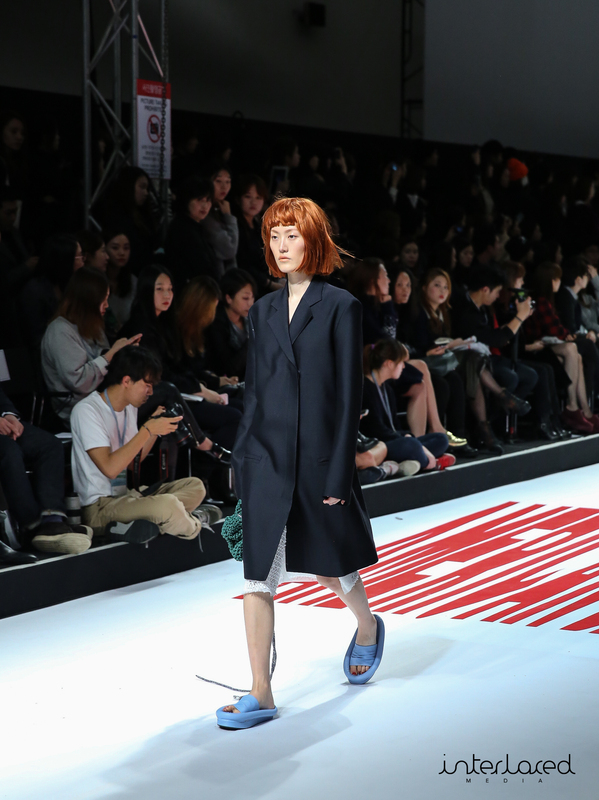 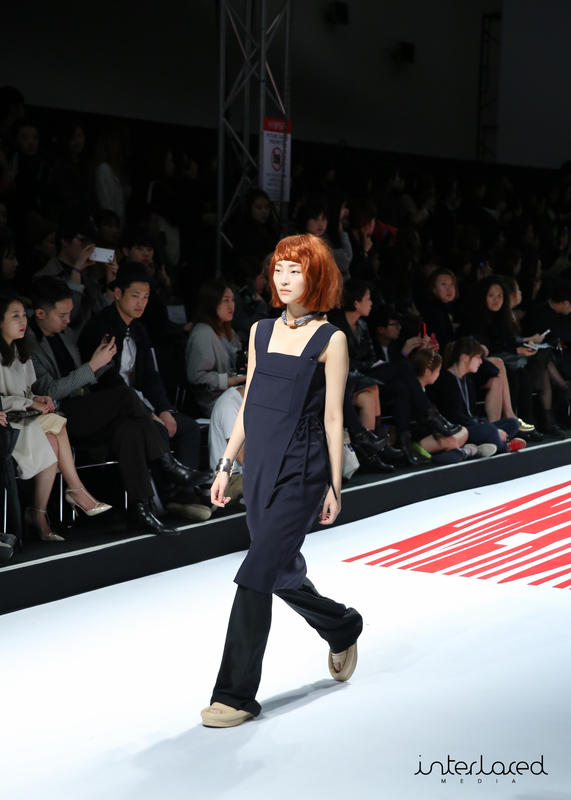 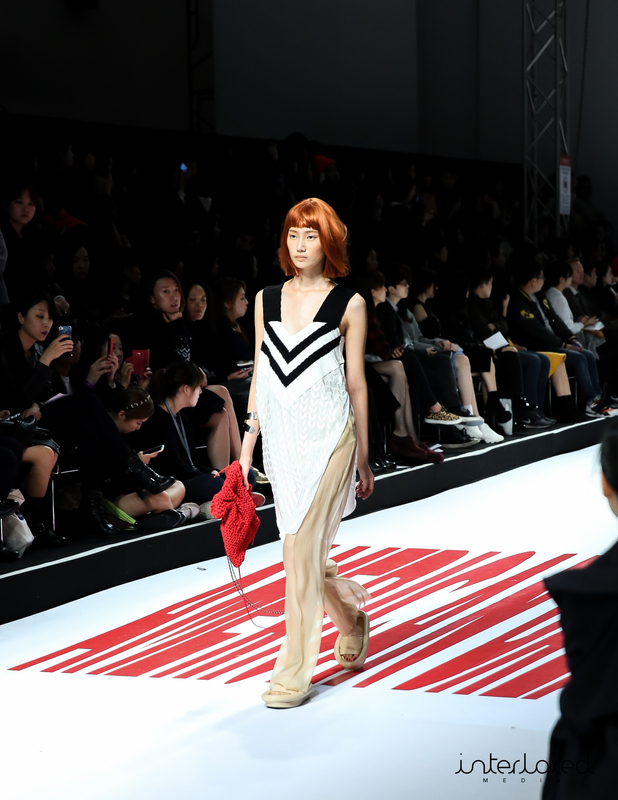 Head designer Myungsin Lee had models walk out to a runway with the “American Dream” slogan splashed across the both sides of the floor. 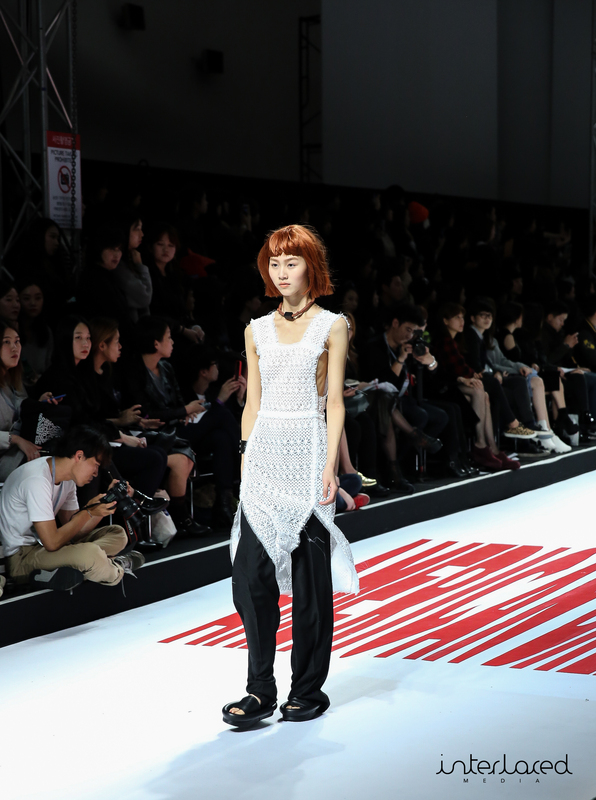 My favorite outfits from the collection were the denim look skirt and pants with thick white stitches. 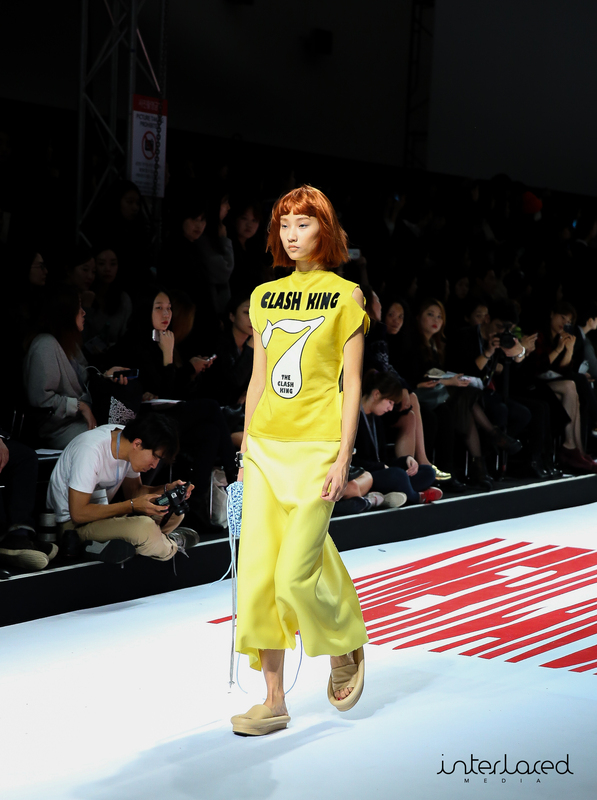 I also thought the yellow “Clash King” outfit was a standout from the other traditional classic looks of the suit like coats and oversized dress tops and pants.